Taking a good look at the farming business in Nigeria is not very easy though. Many farmers in agricultural businesses has their own business perspective in which they made it useful for other farmers to accomplish their aim. 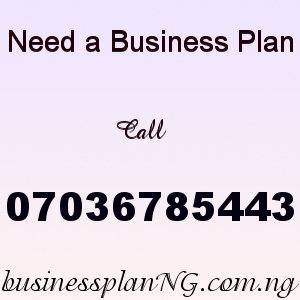 farming and processing business plan in Nigeria can be used to access a lot of means of livelihood like bank loans and business proposals. Certain guide are very useful to help young farmers on how to start a business on cocoa farming in which, they will have to start from the main source which is the knowledge of cocoa Plantation in Nigeria. Agricultural sector which is one of the major way of sourcing for wealth in Nigeria is something important one should take note of because of the economical situation. Agriculture business does not exist only in Nigeria but all over the world. Taking out one of it’s source that is very useful to the citizen is cash crops which is cocoa. As known cocoa is seen globally, it is recognized globally as one of the most economically important agricultural products as it provides such a huge business investment chance to anyone who wish to invest their money and energy on it’s production. According to research which is the fact that cocoa needs a proper breeding before any products is been coined out from it. There are different ways to breed a cocoa tree. The most commonly used method is seeding. Seeding : In this process, the cocoa tree is raised primarily from seeds. Beans are taken from pods within 15 days of harvest and are planted, adhering to the soil and climatic conditions required. Such seeds will usually germinate and produce good plants. Budding : Here, a bud is cut from a matured preferred tree and placed under a flap of bark of another tree. This is bound with raffia and waxed tape of clear plastic to prevent loss of moisture. When the bud begins to grow, the old tree above it can be cut off and discarded. Cutting: Under this method, the farmer takes tree cuttings with an average of three and four leaves and one or two buds. The leaves are then cut in half and the cutting is placed in a pot under polythene until roots begin to grow. Once it starts to grow, it is transplanted to the farm. Marcotting : Here, the farmer removes a strip of bark from a branch and covers the area with sawdust and a polythene sheet. This area will thereafter produce roots and the branch can then be chopped off and replanted in the farm. Cocoa nursery is usually done between October and January, while field transplanting is done between April and June. After cocoa seeds are planted, it usually takes between three and five years to yield the first crop. Cocoa Hybrid varieties however can yield crops within two and three years. In the recent past, experts in Nigeria started working on developing an early-maturing, high-yielding, disease-resistant beans to help double the country’s production. On the market cocoa is one of the best fast selling because so much is being coined from it. Chocolate is the best known product of the cocoa seed. The first recorded evidence of chocolate as a food product goes back the Mayans and Aztecs who made a drink from the beans of the cocoa tree. Chocolate was known as a beverage until the nineteenth Century when “eating chocolate” was made. Another well-known product of the cocoa seed is cocoa powder, used as an ingredient in almost any foodstuff. It is used in chocolate flavored drinks and desserts such as ice cream. It is also used for chocolate spreads and sauces, and cakes and biscuits. Cocoa is also used to produce cocoa butter, an ingredient extensively used in cosmetic products such as moisturizing soaps and creams. Cocoa is also used to manufacture cocoa liquor, jam and marmalade. Fresh cocoa pulp juice is often used in the production of soft drinks and alcohol. The crushed shells or pod husks of cocoa beans can serve as organic fertilizer, as natural deterrents to weeds, and are used to minimize erosion. When pelletised, the husk can also be used as animal feed, while potash from the husk can be used for soft soap manufacture. Cocoa was the most important agricultural export crop in Nigeria during the 1950s and 1960s. The period was described as decades of glory for cocoa as it was the most important foreign exchange earner for Nigeria. Production peaked at 400,000 metric tons in 1970. However, the oil boom of the 1970s resulted in the ‘dutch disease’ expressed in the neglect of the agricultural economy while focusing on oil which became almost the sole foreign exchange earner. Currently, land area under Cocoa cultivation in Nigerian is estimated at 650,000 ha  ; with production of 250,000 metric tonnes per annum  . Ondo state, is the biggest producer, with 77,000 tons per annum  . , note that cocoa production in Nigeria witnessed a downward trend after 1971 season, when its export declined to 216,000 metric tons in 1976, and 150,000 metric tons in 1986. Cocoa crop thrives in tropical climate and production is therefore dominated by countries in those regions, while consumption is mostly by countries in temperate regions of the world. West Africa is a major producer accounting for approximately 70% of global production which fluctuates annually with climatic variations. This is often cyclical with periods of rapid expansion followed by periods of stasis. However, overall production continues to expand with cultivation becoming more widespread. In West Africa, Nigeria is the third largest producer of Cocoa. While the crop is sometimes farmed on a large scale in Nigeria, the sector is dominated by small scale farmers and remains a critical source of livelihood for rural populations in states where the crop is produced. In the South-west, cocoa-producing states include Ondo, Oyo, Osun Ogun and Ekiti where farmers either operate on inherited field or operate a share cropping system in which two-thirds of the produce accrues to the land owner who also contributes to purchase of farming input. In planning a cocoa business, you can grow cocoa successfully in a wide range of soils. However, well-drained, rich soils, acidic to neutral in the reaction are the best suited. Additionally, the soil must have a minimum soil depth of 1.5 m. Very course sandy soils are not suitable for cocoa plantation. Furthermore, pH ranging from 4.5- 8.0 with the optimum being 6.5- 7.0 is suitable for commercial plantation. You can opt for micropropagation for mass multiplication of elite materials as a supplement of conventional propagation. In most of the cases, cotyledonary tissues show the best response to callus induction. You can opt for both the seed and vegetative propagation in the commercial cocoa plantation. Generally, seed propagation is desirable to collect the seeds for biclonal and polyclonal seed gardens. The seeds start germinating in about a week. Aout 90% seeds germinate in this process. Then, you will need to transplant the seeds in perforated polythene bags. Generally, you can plant the four to six months old seedlings in the main field. For large-scale plantation, you must go for the vegetative propagation. Though vegetative propagation by budding, rooting of cuttings and grafting are feasible, budding is widely popular. In soils of low fertility and gravelly lateritic zones, dig the pits of 50 cm X 50 cm X 50 cm size. hen, fill them with a mixture of topsoil and organic manure. In soils of good texture and depth, there is no significant advantage out of making big planting pits. Additionally, you must plant on the soil surface, since, feeding roots are confined to the surface irrespective of the depth of planting. Immediately after planting, you must mulch the basins with organic manure. Remove the shoots which emerge from the lower portions of the bud patch periodically. Actually, it ensures the healthy growth of scion shoot. During the first 3 to 4 years of planting, it is essential to keep the field weed free. According to the soil test report, you will need to apply manure and fertilizers. Generally, you can apply NPK fertilizer in 2 equal split doses. In trees that yield more than 60 pods per year, double the dose. Also, you can apply dolomite @ 100gm per plant per year from third year onwards. Generally, the best method of fertilizer application is to rake in and mix fertilizers with soil in shallow basins of 150 cm radius for grown-up plants. Cocoa grows naturally in tires. Under good management and adequate shade, its plants forquette at a height of 1 – 1.5 m producing 3 to 5 fan branches. For convenience, you must restrict the growth to one tier at a convenient height. You must do pruning and shaping of grown-up plants gradually without much shock to the bearing plants. Under the condition of well-distributed rainfall, cocoa grows up well as a rain-fed crop. In that case, you may not need to provide irrigation. In areas where rain-free period extends to 4 to 6 months, you will need to provide supplemental irrigation. Generally, you may provide irrigation once in 5 days. It helps in better growth of plants and precocity in bearing. Generally, top working is very useful to rejuvenate old and unproductive cocoa plants. Also, it converts genetically poor yielders to high yielders. After the pre-monsoon shower is the best time for top working in cocoa. The top working technique consists snapping back the desired trees below the forquette after cutting halfway. Generally, plant protection includes protecting your cocoa farm from harmful pests and diseases. There are several potential pests and insects you can find. So, you must have the financial arrangements for protecting the farm. The cocoa pods take 150 to 170 days from pollination to harvesting. You can judge the stage of maturity of pods best by the color change of the pods. You can store the harvested pods up to for 4 days. Generally, it enhances the pre-fermentation activity inside pods and helps to get good quality cured beans. You can break the pods by hitting them against a hard surface. And finally, extract the beans without placenta and keep for fermentation immediately. Generally, the harvested beans need fermentation. And also you can consider initiating a cocoa processing unit to produce different value-added products from your cocoa plantation business. Our sample Cocoa Farming Business Plan in Nigeria can be used to access bank loans, proposal writing and grant applications. The business plan was complied after a thorough feasibility study on Cocoa Farming Business in Nigeria was done. After you have made payment for your Cocoa Farming Business Plan in Nigeria PDF & Feasibility Study, send your email and payment details to 07036785443. Once your payment has been verified the Cocoa Farming Business Plan in Nigeria PDF will be sent to your email.